This is a 9x9 Sudoku that was modified via the 'Edit Visible Fields' function so that the visible pieces are arranged in a diamonds pattern. You can save such patterns to reuse them with other Sudokus. 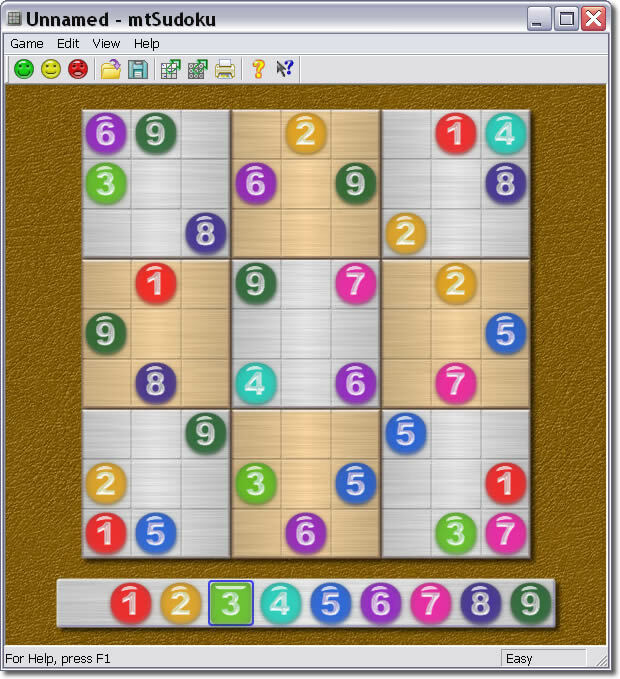 Since version 1.6, the MaaTec Sudoku program can also create Sudoku puzzles that display the visible cells as symmetrical patterns.